Backflow Preventor: These are safety devices that protect our water supply to our house and the buildings that we work in. It keeps contaminated water from flowing into our “good” water. All major cities through out the US keep records of all that are installed and require Homeowners/ Businesses to have them tested yearly for proper function. BBQ Hook-ups: Tired of lugging those empty propane tanks (usually in the middle of a cookout) back and forth to the refill store? We can connect your Gas Grille to your homes natural gas! (special adapters or kits may be required when converting from LP gas) Never run out of gas again! Drains: We can show you with our video camera what your drain pipes look like after we finish cleaning your drain pipes. We use the finest equipment to not only unstop your drains but we can also locate these underground pipes and use a special water jetting system to help clean problem drains. 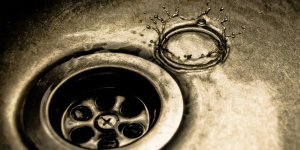 Garbage disposals & Instant Hot: Wimpy, noisy or leaking disposal? We stock a full line of the Insinkerator disposals and counter mount instant hot water makers. Gas lines repaired and installed: Gas is not for the untrained ! If installed improperly the results could be devastating! Get one of our plumbing professionals to tackle that job for you. 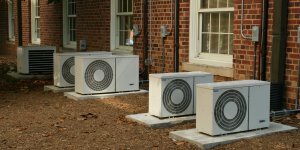 You will have the peace of mind knowing the job was done correctly. Gas Logs: Bringing in the firewood on those really wet and cold days can really be a chore. We can connect your gas log set and recommend showrooms if you have not yet made the purchase. Hot Water Instantly: Tried of waiting for the hot water? Ever think about how many gallons of water is being wasted? Give us a call and ask about the Grundfos Comfort Series circulating pump system. Main water service pipe replaced: In many case we can replace the main underground water pipe on your property without having to “Dig up” the whole yard. Call for a free estimate on our Trenchless Technology. Remodels: Thinking of up-dating those old, tired, ugly and worn out bathroom fixtures and tub? How about a complete bath remodel by a master plumber? Give us a call and we will come out and give you a free estimate. 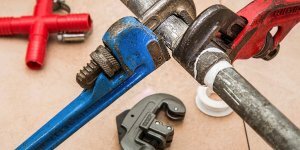 Repairs: in this day and age when most companies only replace things, we actually carry thousands of plumbing repair parts and believe you should be given an option by a master plumber. Sewer lines repaired and replaced: Backed up sewers pipes aren’t only a pain to deal with but they are potentially hazardous. It is nearly impossible to completely clean your carpets or rugs once “black” water spills onto it. If your sewer lines continue to get roots, every time you cut them out, the bigger they grow back. Give us a call for a free estimate. Learn more about our Trenchless Sewer Repair. 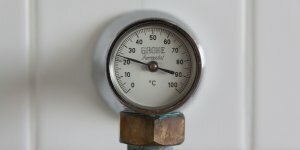 Tankless Water Heaters: Never run out of hot water again! Save on your energy bill as only the water you need will be heated instantly. These are the future of domestic water heating. Do things always seem to break at the worst possible time? Why not have your plumbing system checked annually by a master plumber and try to keep these surprises to a minimum. You know that one of our biggest costs is getting the plumber and the truck to your home. It’s cheaper for us and for you if we can schedule the time so we don’t have to send our plumbers all over town “putting out fires” You receive our special “Add on plumbing rates” for any work that is preformed by a plumber with this plumbing inspection.